President Recep Tayyip Erdogan said Turkey will soon receive S-400 anti-missile system in line with an agreement inked with Russia. 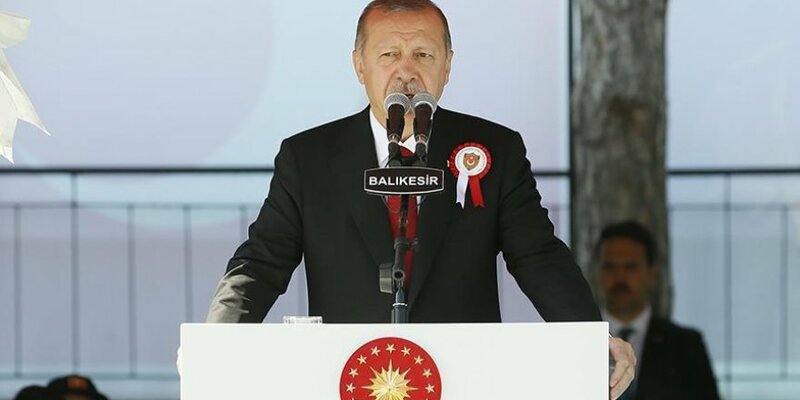 Speaking at a graduation ceremony of non-commissioned officers in northwestern Balikesir province, Erdogan said Turkey needed to acquire the Russian S-400 anti-missile system and "will get them soon". Erdogan said Turkey is pursuing its own interests and struggling to reach its own goals "in the face of the efforts of those who try to shape both our country and our region according to their own agenda". "We do not regret our decisions," he added. In June, the U.S. Senate passed a bill prohibiting sales to Turkey of F-35 jets, citing the S-400 purchase as well as Turkey’s detention of U.S. citizens. Referring to the row between the U.S. and Turkey after the detention of the U.S cleric Andrew Craig Brunson, Erdogan said Turkey's military and economy were being targeted on the pretext of the Brunson case. Turkey and the U.S. are currently experiencing rocky relations following Washington’s imposition of sanctions over the detention of Brunson, who is under house arrest in Turkey over terrorism charges. Brunson's charges include spying for the PKK -- listed as a terrorist group by both the U.S. and Turkey -- and the Fetullah Terrorist Organization (FETO), the group behind the defeated coup attempt in Turkey of July 2016. Erdogan said as for other countries, fighting against terrorism is a legitimate right for Turkey as well. "Fighting against terrorism is seen legitimate for other countries, however, when it comes to Turkey, they behave differently," he said. "Turkey does not deserve neither the terror attacks against it both from inside and outside of the country, and the hypocrisy it faces in the international arena, nor the portrayal as if it were in an economic crisis," Erdogan said. The president said Turkey had always been loyal to its promises in its international dealings, "yet we have always faced hypocrisy". Erdogan said Turkey needed alliances with other nations besides the European countries and the U.S.
"We know very well what kind of activities those who force us to have a unilateral relationship are carrying out either secretly or publicly all around the world." "The instability in the currency rates is an operation against our country," Erdogan said, of using the economic weapons to achieve their goals which "they could not achieve using the terrorist organizations or the traitors inside Turkey".